Home Other Entrance Exams BJMC Delhi School of Journalism 2018- Admit Card Released- Check Details!! Delhi School of Journalism 2018- Admit Card Released- Check Details!! Delhi School of Journalism (DSJ) is one of the premiere Journalism Schools in India launched by University of Delhi (DU) in 2017. It is housed at the University Sports Complex in the North Campus of the Delhi University. It conducts a national level entrance exam for admission to a five-year integrated course in the field of Journalism. The “five-year integrated course” consists of undergraduate Bachelor of Journalism (BJ) of 3 years and postgraduate Master of Journalism (MJ) of 2 years. To know more about Delhi School of Journalism (DSJ) Entrance Exam 2018 – Read Below. Registered candidates can now download their respective admit card on entering the valid Email ID and Password. Applicants can download the admit card on or before 19th June 2018. Link to download the DSJ Admit Card is provided in the “DSJ Admit Card 2018” section given below. The application form of DSJ 2018 has been released in online mode on 15th May 2018. Candidates seeking admission to the course need to fill an online Registration Form online. Link to register is provided in the “DSJ Application Form 2018” section below. The information related to dates of the important activities is provided in the below table. 3. Availability of Admit Card 2018 Available for downloading. Candidates who successfully applied for DU DSJ Entrance Test 2018, they can avail their Hall Ticket in online mode by visiting the link given below. The DSJ admit card 2018 is now available for downloading. The registered candidates can access the hall ticket on entering the valid email ID and password. The Delhi School of Journalism Entrance Test 2018 will be held on 19th June 2018. DSJ Admit card 2018 contains the exam centre details, important guidelines and other details. The students should take the printout and carry the admit card on the day of examination. The admission into DU DSJ for the academic session 2018 will be granted only if the applicant possesses the below-mentioned eligibility criteria and qualify the entrance exam. However, the interested candidate also has to fill up the application form to attend the entrance exam. Aspirants must be aware of the eligibility criteria before going to apply for DU DSJ Entrance Exam 2018. 1. Age Criteria There is no age limit to apply for DU DSJ 2018 Exam. 2. Academic Qualification Students who score at least 50% aggregate in class 12 board exam irrespective of their stream, they will be able to appear in DU DSJ entrance exam 2018. 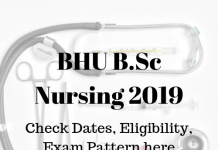 The aggregate of marks will be determined on the basis of four subjects and it will include one core language along with three elective subjects are eligible to apply, provided the mark-sheets and passing certificates are available at the time of admission. Click on the link “DU Journalism 2018 Application Form”. It will redirect to the official website. Read the instruction carefully and click on “New Registeration” option. Application Fee Payment: The application fee payment will have to be made by the candidate in online mode through debit/ credit cards or net banking. 1) DU DSJ Entrance Test 2018 19th June 2018. The DSJ Exam Center will be conducted at 21 different centres. The PDF given below contains the state, city, test centre name, test centre address and landmark. DU DSJ Entrance Exam 2018 result will be declared tentatively in the last week of September 2018 in the online mode on its official website. The candidates who appeared in the test can access the result by entering the registration number, name and date of birth. The result or scorecard contains the mark obtained in the entrance test. Based on the marks obtained by the applicants in the test, the official authority determines the cut-offs and prepares a merit list. The shortlisted candidates will be allotted seats based on the merit and choices filled by the candidates. Candidates can check their seat allotment by logging in to the official website. It is a must for a candidate, who will be allotted seat, to print and download provisional allotment letter. To confirm the seat, candidates will have to pay a part academic fee online which would mean that they have accepted the seat allotted to them. The print out of admission fee receipt must be taken after the payment. Admission to the participating college will be made based on the rank secured by the candidates in the entrance test. The shortlisted candidate must report to the allotted institution along the following list of documents for document verification. The Delhi University reserves a definite number of seats for the candidates belonging to special categories such as Scheduled Tribe (ST), Scheduled Caste (SC), Other Backward Classes (OBC) and Person with Disability. Candidates have to mention their reservation category while filling the application form of DU DSJ Entrance Test 2018. Students claiming reservation are required to produce valid supporting documents in the prescribed format at the time of counselling in order to avail the benefit of DU DSJ reserved seats. The table given below contains the distribution of seats category-wise. Ans: The candidate who obtained 50% aggregate marks in the class 12 board exam are eligible to apply. Aggregate is calculated on the basis of four subjects, i.e. one core language plus three elective subjects. What is ‘Five Year Integrated Program’ in Journalism? Ans: Five Year Integrated Program in Journalism consists of Bachelor of Journalism (BJ) of 3 years and Master of Journalism (MJ) of 2 years. Is there an exit option after three years, if I want to leave? Ans. Yes, the course has an exit option after three years and students may leave with Bachelor’s Degree – Bachelor of Journalism. Those who wish to continue will be given admission to the Post Graduate Course – Master of Journalism. Can I join for Post Graduate Courses in other universities in India and abroad, if I exit with Bachelor’s Degree after three years? Ans. Yes, students can pursue the postgraduate course in any university, after the completion of the Bachelor’s Degree. What is the online registration Fee? Ans. Candidates need to pay Rs. 500 (General and OBC) and Rs. 250 (SC and ST) online as registration Fee. In any case, the online registration fee will never be refunded.